Based in Wimborne, Dorset in the south west of England, the Eight Arch Brewing Company is named after the eight arches at nearby landmark, Julian’s Bridge. Its location, close to the town centre, draws many visitors in when the brewery opens its doors to the public on Friday evenings. 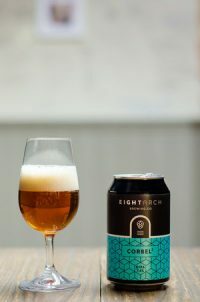 Founder Steve Farrell is a fan of flavoursome, hop forward beers and this is reflected in their range, which includes and American-style pale ale and a New England- style session IPA alongside a complex coffee stout.